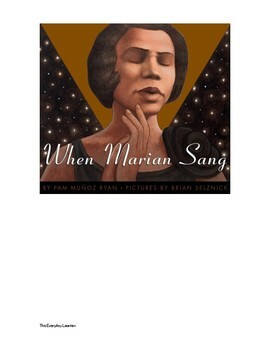 The activities in this packet are to be used with the picture book, When Marian Sang, by Pam Munoz Ryan. 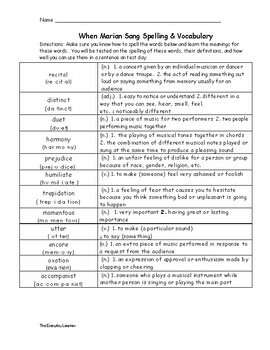 Activities include a vocabulary and definition list, a word search, a comprehension quiz and so much more. 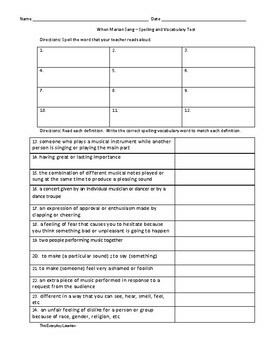 Teachers can use this as a center, or as a whole group activity.